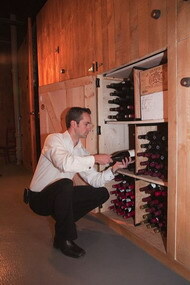 Our wine locker is an exciting new option in wine storage. 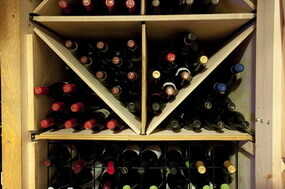 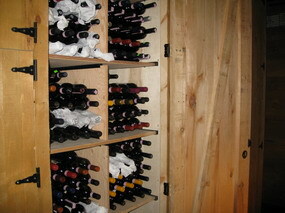 A self-storage plan, you get your very own private wine locker at our facility. 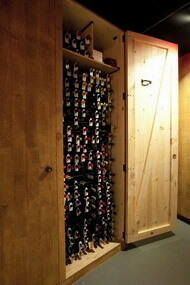 The lockers range in size from 70 to 7000 bottles. 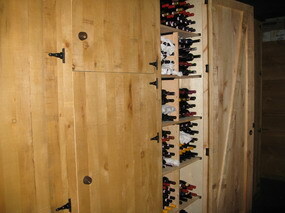 Prices start at $54 per locker per month. 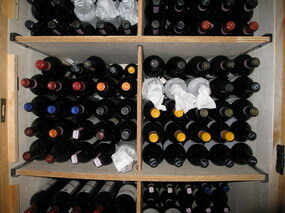 Deposit, withdraw or visit your collection as often as you wish at no extra charge. 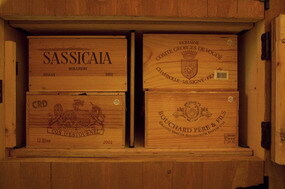 Appointments are never required and access is 24/7/365. 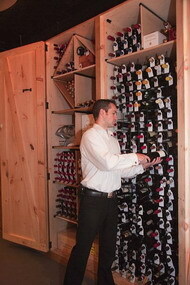 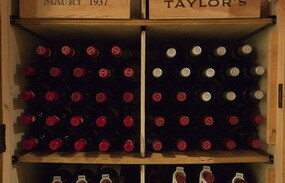 Collectors who do not own a large home cellar prefer our wine lockers. 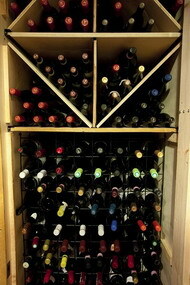 When you only have a small selection of wine at home, the wine locker is far more convenient and functional than conventional case storage services. 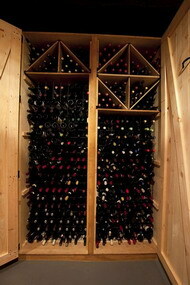 Just like a home cellar, you can unpack and display your wines, and personally retrieve any bottle at any time. 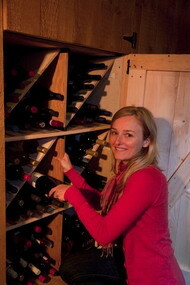 When it's time to entertain, a quick stop at your wine locker for a perfectly chilled selection, and then it's off to our Tasting Room with your friends. 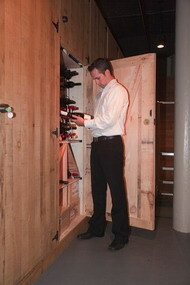 Our wine lockers are high security units. 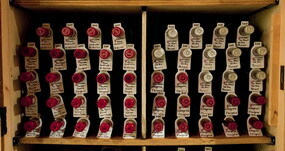 Every locker is individually alarmed and monitored 24/7 by a central monitoring station.